You Got A Sunburn. Now What? Wait. Before I start, do you hear that? Listen carefully. Yep, that's the sound of your skin therapist weeping. Nothing makes her cry like that gorgeous skin of yours getting a sunburn. If it has happened (I know you feel bad), here's what to do. That redness is an inflammation response. Your skin is trying to warn you that damage has occurred. And no, you cannot put sunscreen over a sunburn and go back out. That ship has sailed. A cool shower will remove any chlorine, salt, or residual products that may be irritating to a compromised skin. Cool compresses and soothing ingredients like aloe vera, sea whip, and colloidal oatmeal can calm things down. Protect and re-establish the barrier. Keep the skin moist and well hydrated with products formulated to replenish lost barrier lipids and accelerate healing. My go-to products? Rapid Repair, underneath Calming Bio-Lipid Repair Fluid or Creme. You're going to want to shelve all of your resurfacers for the next 10-14 days. No scrubs, retinol, alpha or beta hydroxy acids or any prescription strength resurfacing products. You can resume when your skin is completely healed with no signs of redness or inflammation. If your sunburn peels, it's important to let your skin exfoliate on its own. Picking off pieces can further injure the delicate skin underneath and cause scarring. The same goes for any small blisters, leave them be. 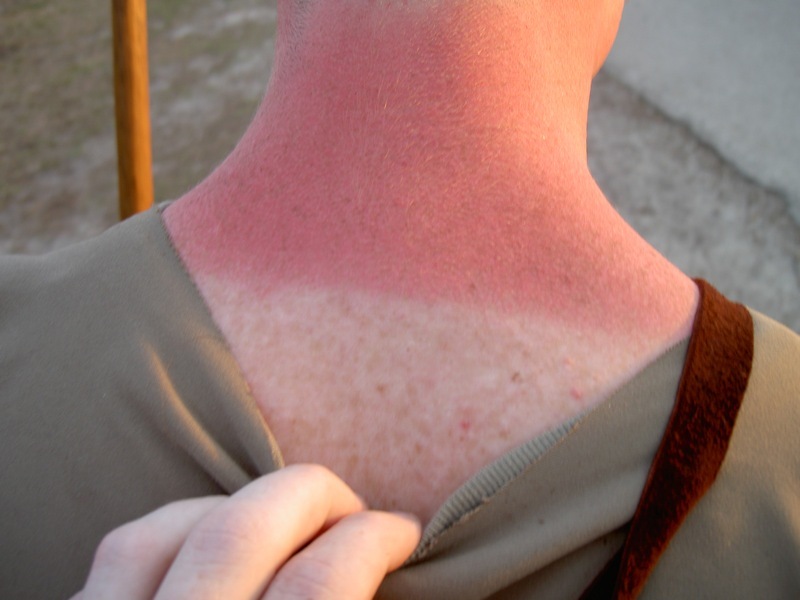 And of course, in the case of a really severe sunburn, see your doctor for medical advice.